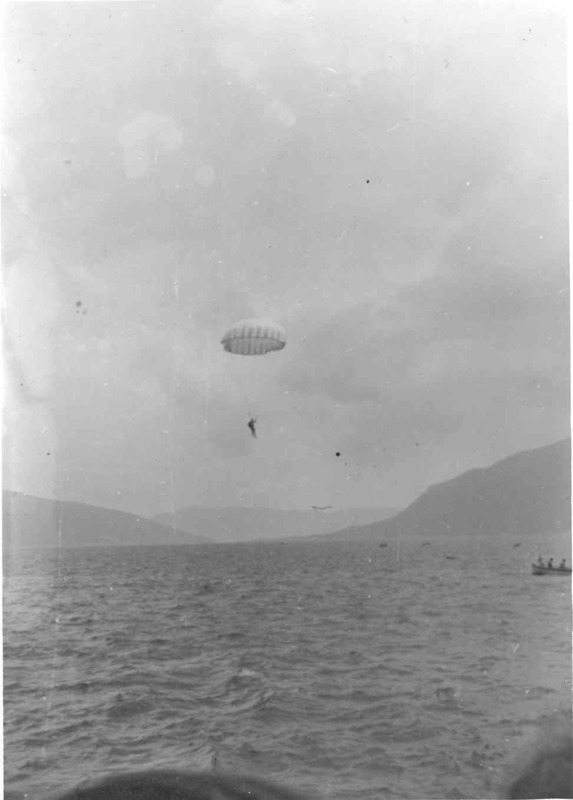 Tivat Airport was built after World War II transorming a grassy field into flying paths, intended for the training of military and civilian parachutists, as well as parachuting competitions. 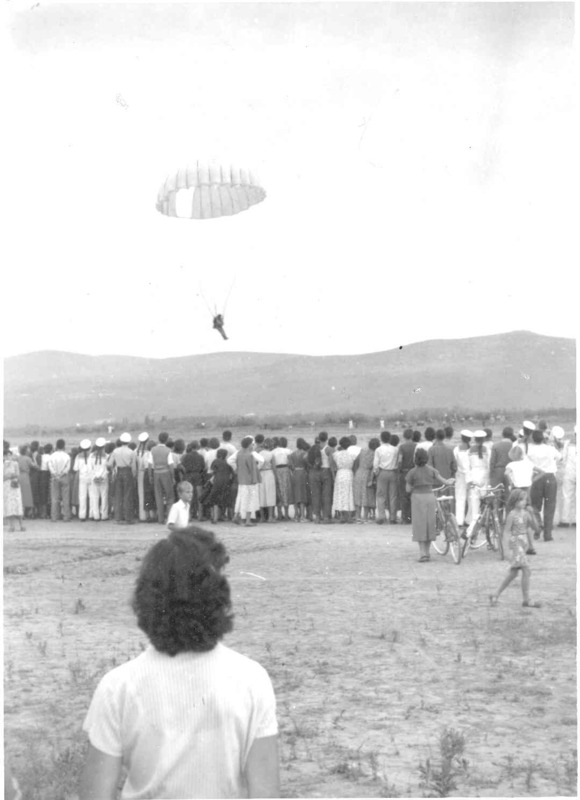 Ordinance of the airport, which was on location with good climate conditions, it was other than sport aircraft, able to hold and transport two-engine Douglas C-47, which is otherwise able to land and take off from provisional airport. As a civilian variant of this aircraft, the DC-3, used in domestic traffic, the terrain is furnished and equipped and for acceptance, (landing and take-off) passenger planes, properties and categories to which he belonged and "Douglas". It regulates the grass runway, length 1,300m, and a width of 60 meters. 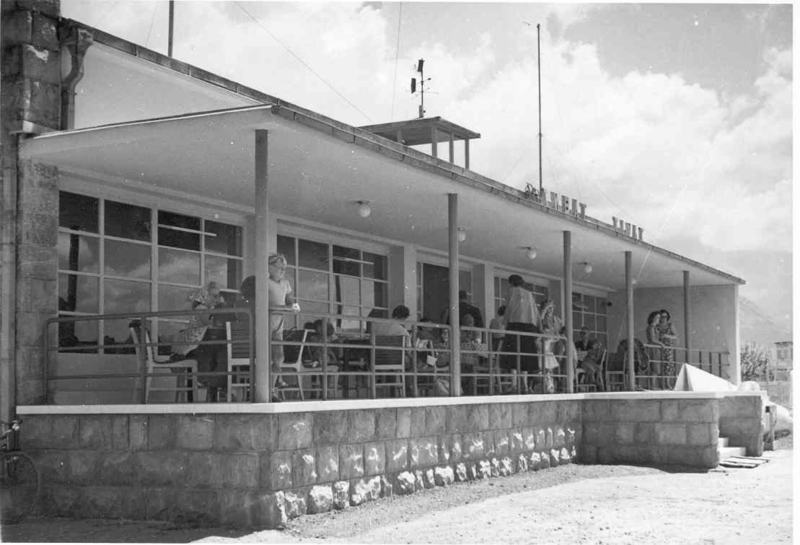 By the spring of 1957, the airport received a grass runway measuring 1,200 mx 80 m, and the asphalt platform measuring 30 mx 30 m, a small terminal building with a restaurant and terrace, a small control tower and an assembly room for the customs control of passengers and luggage. 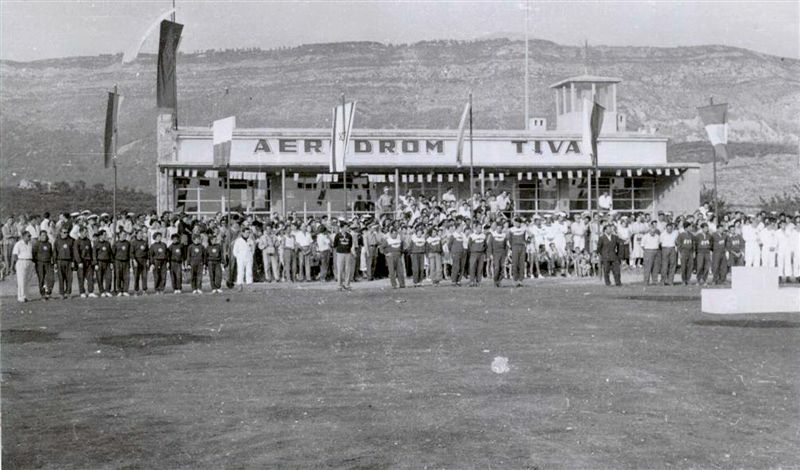 On 1 May 1957, Tivat airport was officially opened and handed over for use. 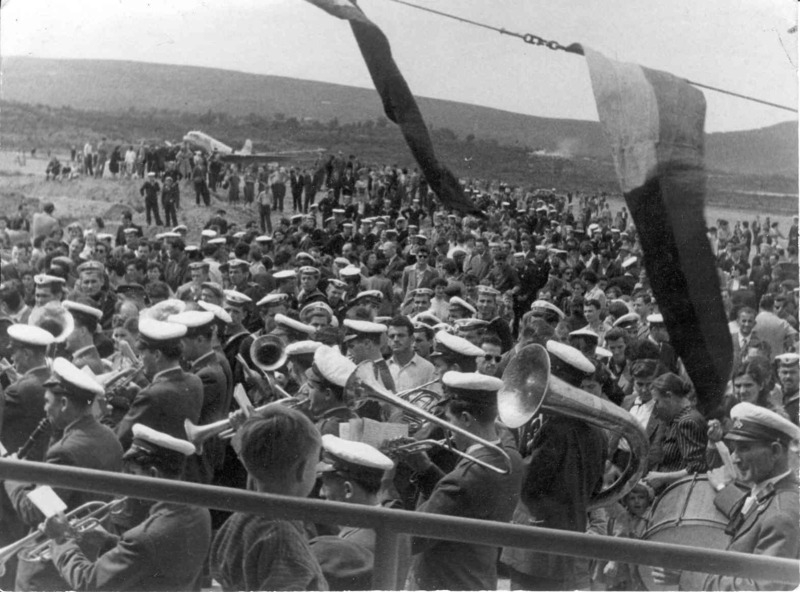 The opening of the Belgrade-Tivat-Belgrade, followed by the 15 June 1957. 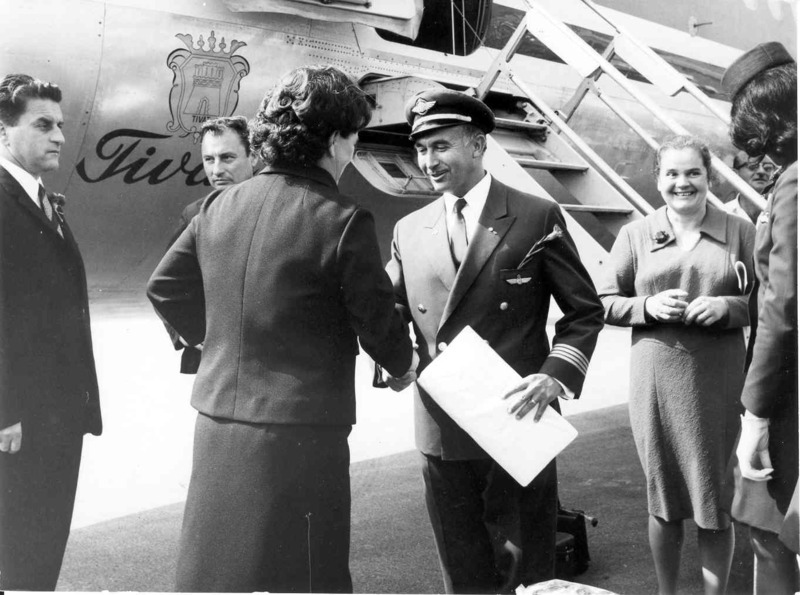 The period up to 1968, mainly passenger traffic carried by the DC 3 and IL 14 with Belgrade, Zagreb and Skopje. 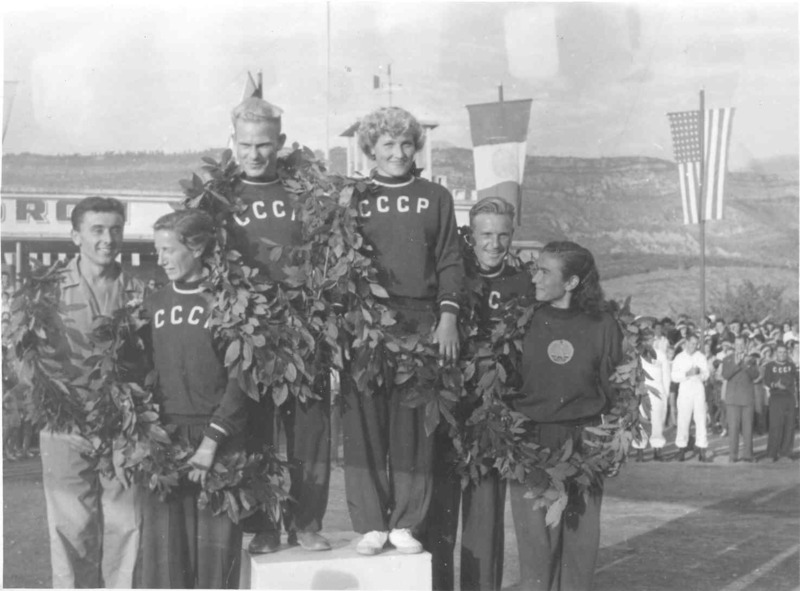 Events had internationally prestigious character. 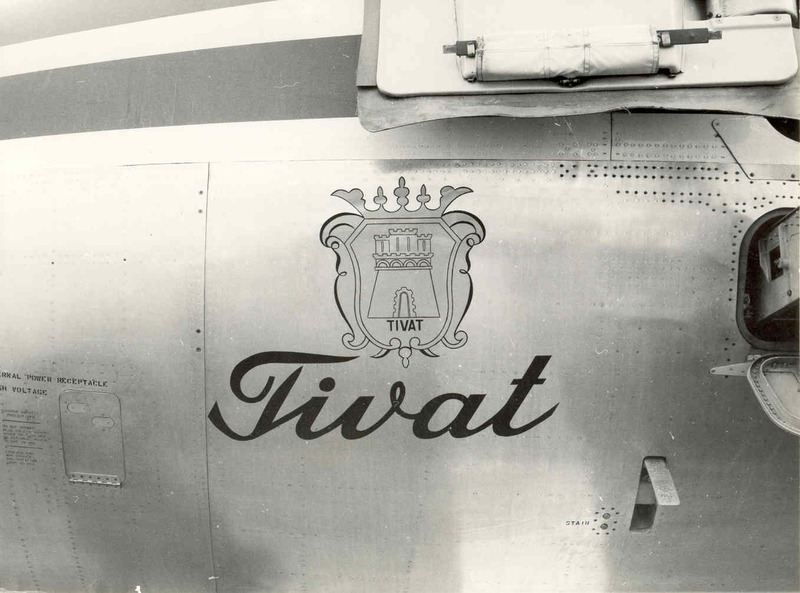 In Tivat from 1956 to 1962. operated SVC Federal Aviation Center, when runway was sold for the construction of the airport in Tivat and facilities in Donja Lastva seconded Aeronautical Association of Montenegro. 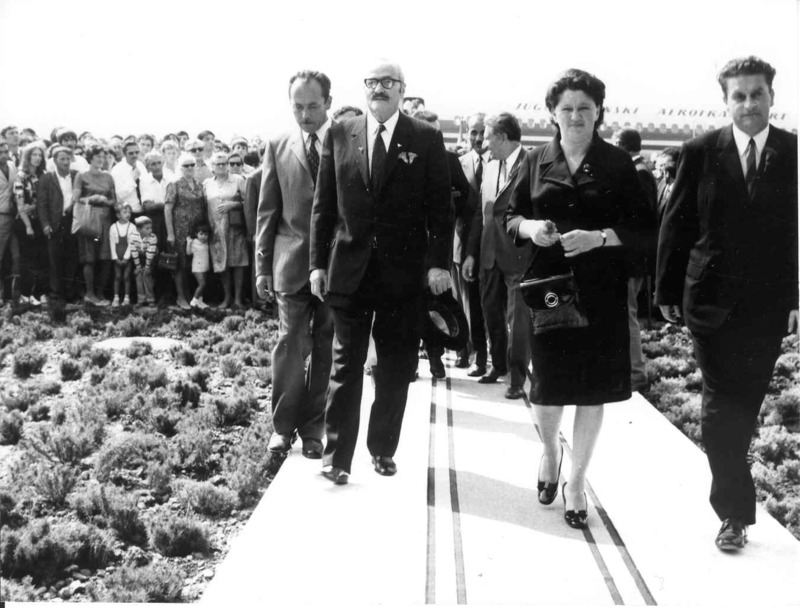 From 1968 to 1971, on the same site a modern airport was built with a new asphalt runway measuring 2,500 mx 45 m apron 450 mx 70 m and two connectors 20 meter wide, passenger building a new control tower and auxillary service areas . 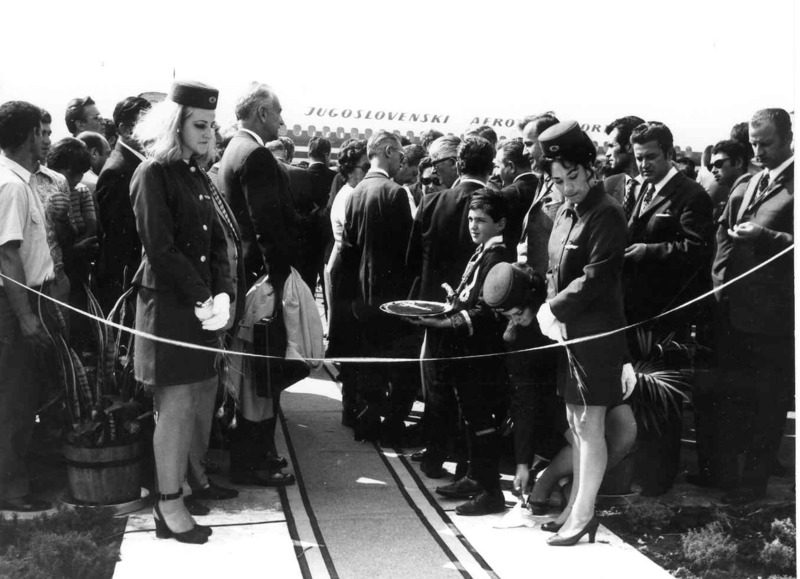 The reconstructed and modernized airport "Tivat" was officially opened on 25 September 1971.. On this occasion,airport held a grand ceremony to which, besides the citizens of Tivat, Kotor Bay and other cities attended by representatives of the socio-political organization of Montenegro, foreign and domestic airlines, the Federal Administration of Civil Aviation, journalists and other guests. Ornate various flags airport looked very impressive. 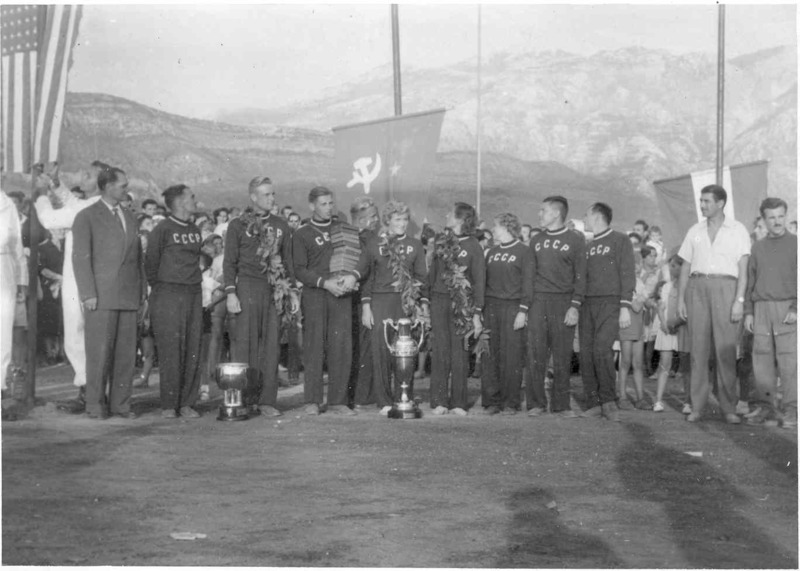 Many girls in folk costume from Boka and a group of men dressed in the uniforms of the old Boka Navy greeted the first plane Yugoslav Airlines DC-9, which is sponsored wife of the President of the Municipality of Tivat. 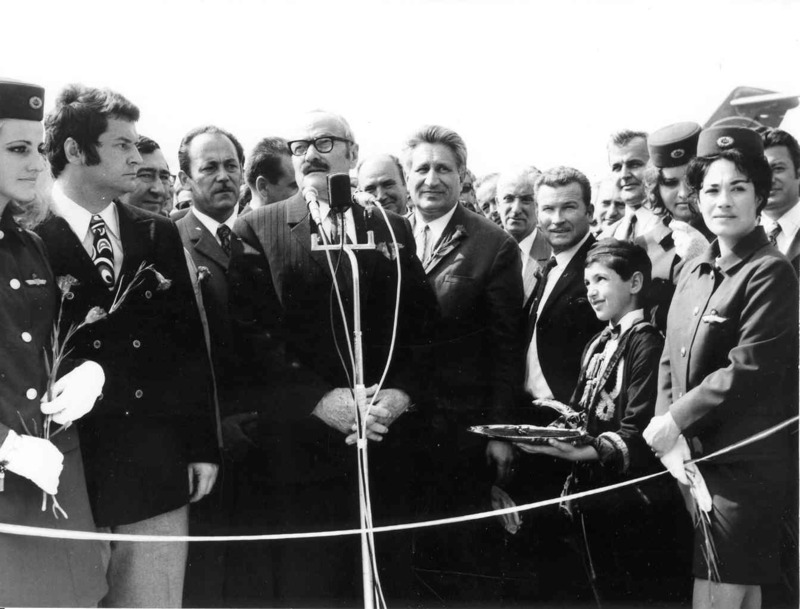 On this great ceremony spoke Blazo Jovanovic, President of the Constitutional Court of Yugoslavia, who had the honor to cut the ribbon to open the airport. 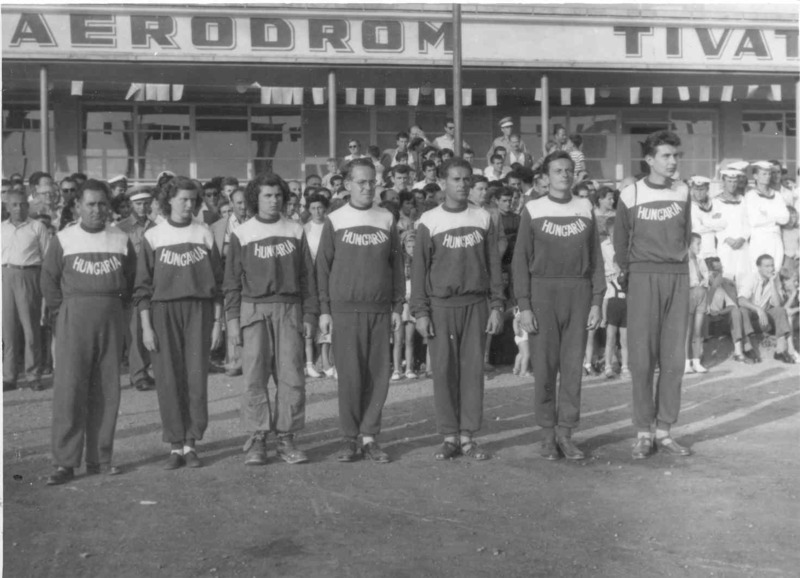 Then, Mato Krstović, President of the Assembly of the Municipality of Tivat, Vidomir Krunic, director of JAT Milorad Šljivar, acting director of the Federal Directorate for Civil Aviation and the Government Matijevic, director of the airport "Tivat". 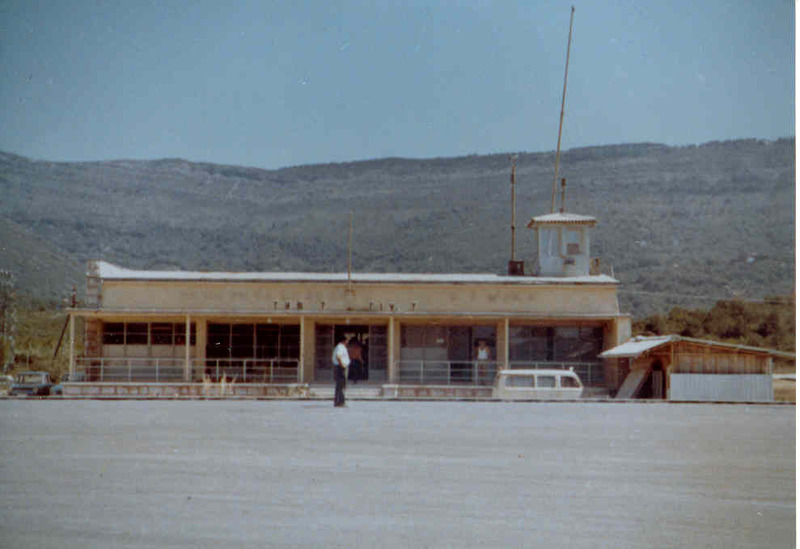 Airport "Tivat" had a rise in its development until the catastrophic earthquake in 1979, when it was necessary to repair and modernize facilities: In addition to the existing terminal building, whose area of 680 m 2, it was necessary to build another pavilion for the needs of international traffic, execute changing runway new asphalt surface, and increase the apron. Extended three parking positions, 70 m to 91.5 we expanded connector "A" with 20 m to 25 m thus allowing reception of wide-body aircraft. 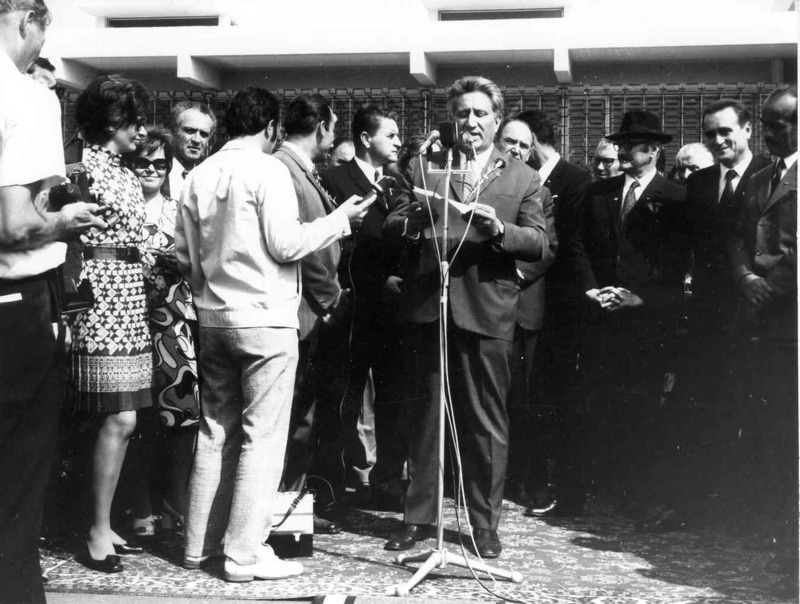 Its maximum in the former Yugoslavia airport is reached in 1987. 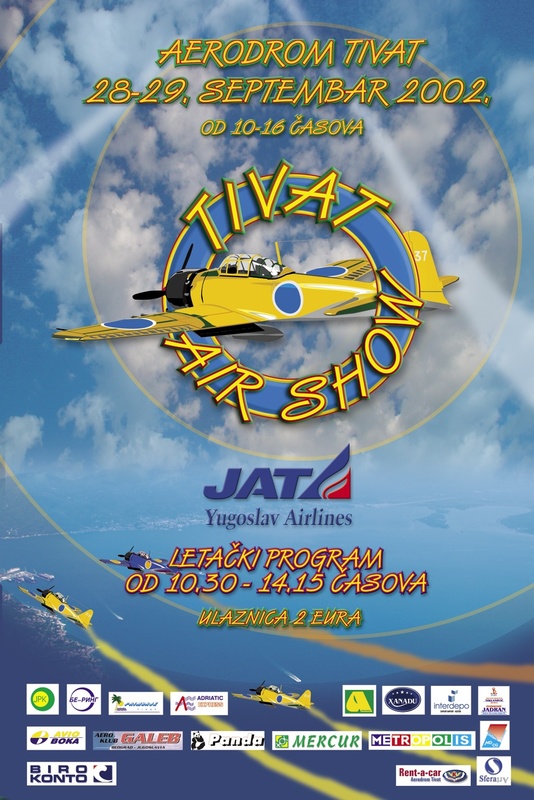 2002 organized a large Aero show in Tivat. 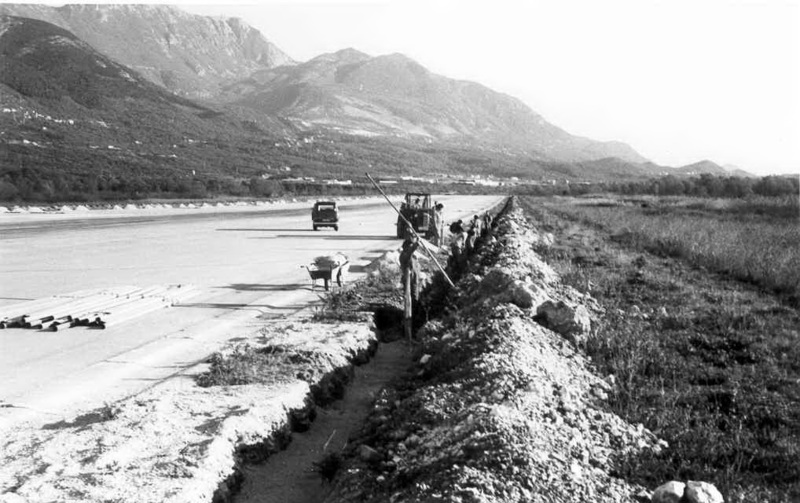 Ownership of Airport "Tivat" On 23 April 2003 is transferred from the JAT to "Airports of Montenegro", and since then begins its accelerated modernization, whose first phase is recostructed and expanded (at 4057 m2) terminal building, followed by completion and equipping for use the airport at night conditions. 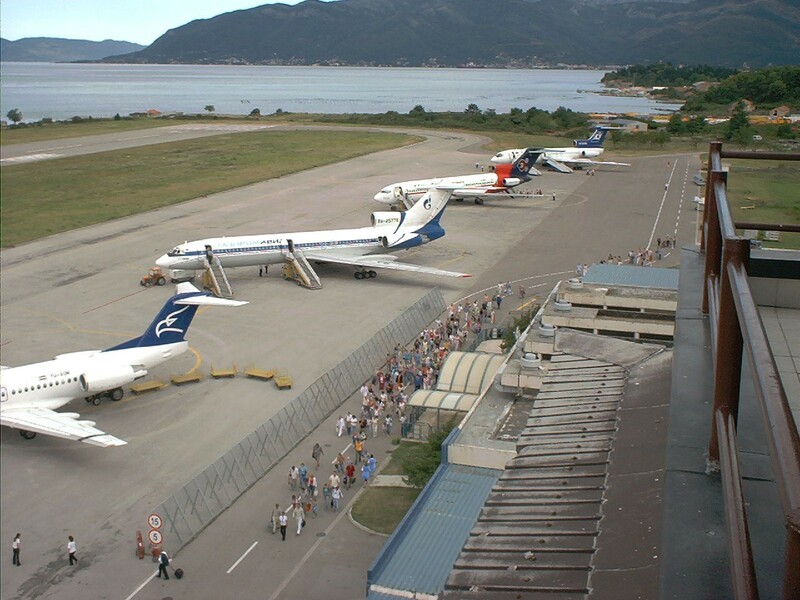 Airport "Tivat" is characterized by the fact that over 80% of the traffic carried during the summer tourist season with a very pronounced peak loads (for example, on 12 July 2006, is being served 9138 traveler). The Apron has 7 parking position and can accommodate 6 aircraft group "C" and one plane of "D" or 4 planes of the group "C" and 2 aircraft group "D". 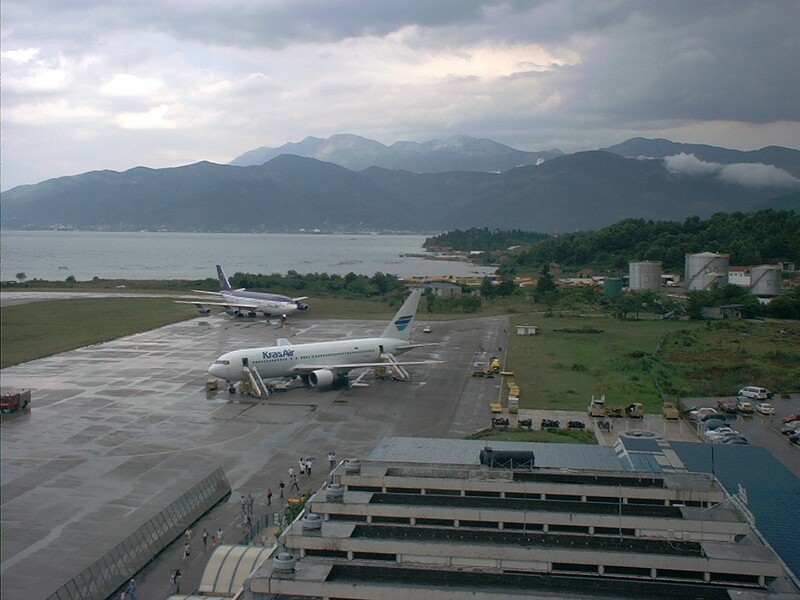 Tipical planes from the "D" category, operating at the airport "Tivat" are: DC 10, IL86 and Boeing 767. 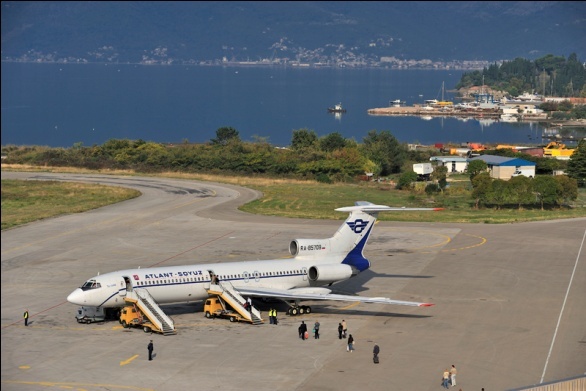 The airport "Tivat" today serves most of the modern aircraft families like Boeing and Airbus. Trust for quality and professional work has earned with over 30 airlines including world famous names such as SAS, LTU, Airberlin, and others, which connects Aiprot "Tivat" to 15 destinations in Europe - London, Moscow, Paris, Frankfurt, Stockholm, Prague and others.